These Supplemental Fuel Pump Kits are required for GM trucks and SUV’s utilizing the #1578, #1579, #1564 and #1567 E-Force supercharger systems. Failure to use the supplemental fuel pump kit may result in engine damage and void your Edelbrock E-Force Supercharger’s warranty. 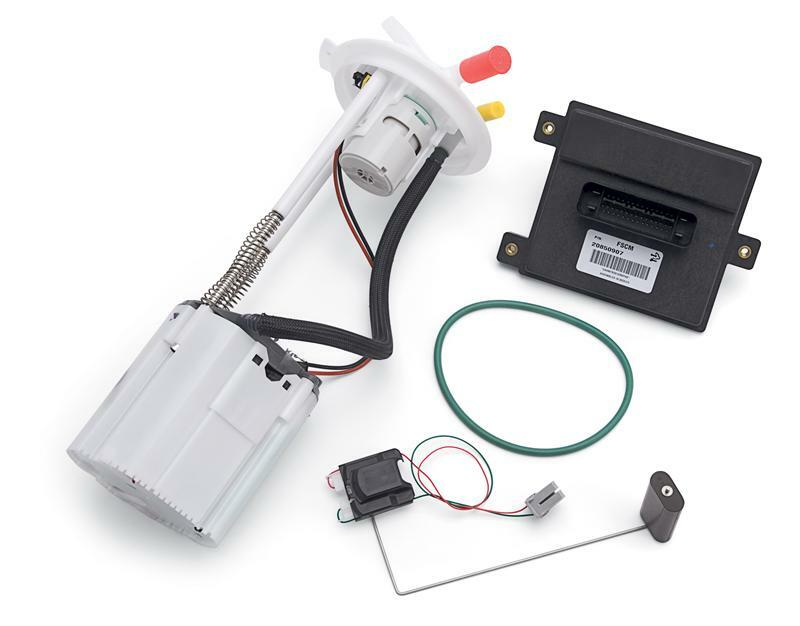 These supplemental fuel pump kits are not required for Flex Fuel models. Flex Fuel models come standard with adequate fuel systems that properly operate with the Edelbrock E-Force Supercharger system. These supplemental fuel pump kits include a replacement fuel pump, control module and fuel level sender (system #15791 includes injectors).